cools up to : 14 sqmt./150 sqft. cools up to : 5.4 sqmt./58 sqft. cools up to : 12 sqmt./129 sqft. 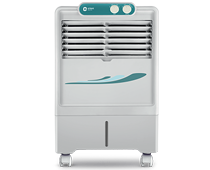 Our personal air coolers range is made to satisfy the cooling needs of a small room or office space. 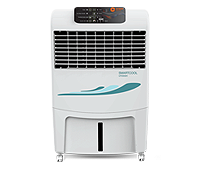 Made to occupy even smaller space than desert air coolers, personal air coolers work best when you are close to them. Our personal air cooler range gives you 5 incredible air coolers to choose from and each of them is designed to fulfil specific requirements. 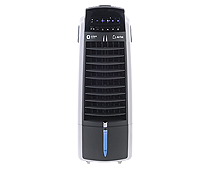 The foremost benefit of personal air coolers is their low power consumption. 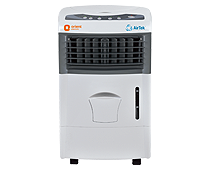 The Airtek ATES800 consumes as low as 2.7 watts when it’s operating in its low power consumption mood. Now 2.7 watts is even lower than what your laptop battery consumes. These coolers are comparatively smaller in size, therefore, they occupy the least space possible by an air cooler. 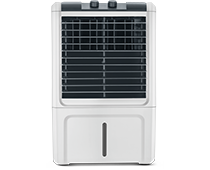 Two of our personal air coolers come with touch controls which makes them even more appealing. Our entire range of personal air coolersboasts of an aesthetic design which blends with the décor of the room. 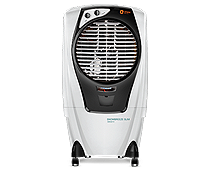 The biggest convenience factor that Orient Electric Personal Air Coolers have is their compact size which makes them capable of operating even in the smallest of places. Their beautiful design does not mess with the décor of your room and keeps the all your interiors in sync. The remote controlled and touch control coolers make it even easier for you to fiddle with speed and direction of the air coming out of them. There is no use of buying a cooler unless it gives you great value for money. 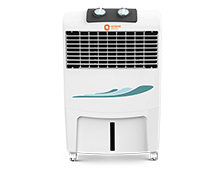 Orient Electric Personal Air Coolers offer great value for money with their efficient functioning. They consume very less power while operating but that doesn’t mean they compromise on cooling. Our ATES800 air cooler consumes just 2.7 watts while operating on its low power consumption mode which makes it ideal for night time cooling.